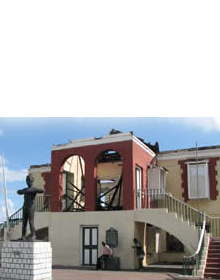 The Jamaica National Heritage Trust is actively involved in the preservation of Jamaica's archaeological resource base. Over the years the JNHT has contributed to major projects for Jamaica's development; namely the North Coast Highway Project, Old Harbour Bypass Road Project and The Highway 2000. 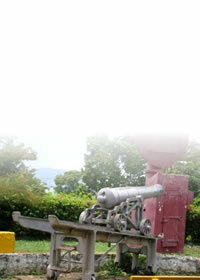 Colbeck Castle - on October 26, 2006 JNHT recieved a development proposal re: the area surrounding the Historic Monument of Colbeck Castle, Colbeck, St Catherine. Highway 2000 - Jamaica's first toll highway. It will be constructed in two phases. North Coast Highway - a Government initiative to improve the entire stretch of north coast road from Negril in the West, to Port Antonio in the East of the island. Old Habour Bypass - The Government of Jamaica commissioned the Old Harbour Bypass as a part of its road improvement programme. 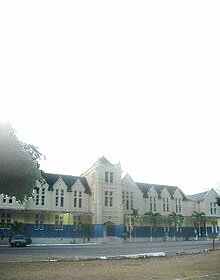 Tower Street - General Penitentiary - Most of the buildings along Tower Street possess exquisite Jamaican Georgian architecture, and along with the General Penitentiary, are fundamental features of the Tower Street historical streetscape.